What would make an evening at a DCI competition more entertaining for the fans? How can we better the fan experience? That was the over-arching theme of the 2010 DCI Annual Meeting which was held in Indianapolis Jan. 22-23. 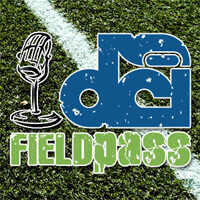 In a special edition of the Field Pass, DCI's Dan Potter takes a comprehensive look back on the ideas discussed and the actions taken at this year's "Janual." Featuring interviews with DCI Hall of Fame Member Michael Cesario, Phantom Regiment Percussion Caption Head Paul Rennick, DCI Hall of Fame Member and Judge George Oliviero, Carolina Crown Brass Caption Supervisor Matt Harloff, Crossmen Program Coordinator Jamie Alvarez-Calderon, DCI Open Class Coordinator David Eddleman, Chair of the Open Class Advisory Committee and Colt Cadets Director Vicki Schaffer , Cadets Board of Directors Chair Bill Speakman, Cadets Drum Major Ben Pouncey, Jersey Surf Drum Major Allison Baier and Boston Crusaders Drum Major Thompson Vou.